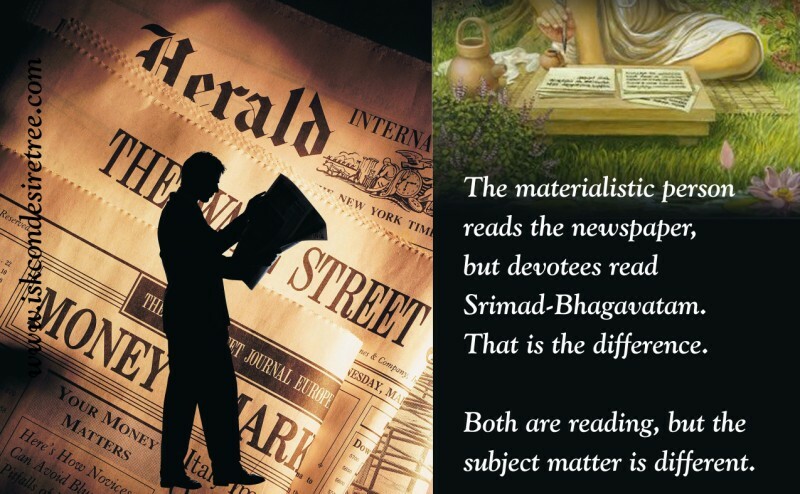 The Materialistic person reads the newspaper, but devotees read Srimad-Bhagavatam. That is the difference. Both are reading, but the subject matter is different. A person who is constantly engaged in reading literature enunciating the cultivation of Vaisnava devotional service is always glorious in human society and certainly Lord Krishna becomes pleased with him. A person who very carefully keeps such literature at home and offers respectful obeisances to it becomes freed from all sinful reactions and ultimately becomes worshipable by the demigods. 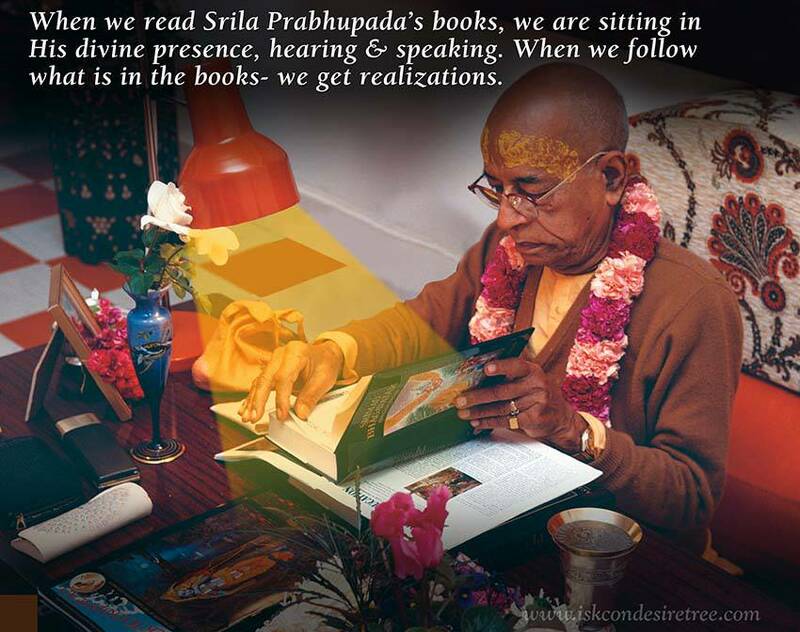 Read Srila Prabhupada’s books. All realizations are there. 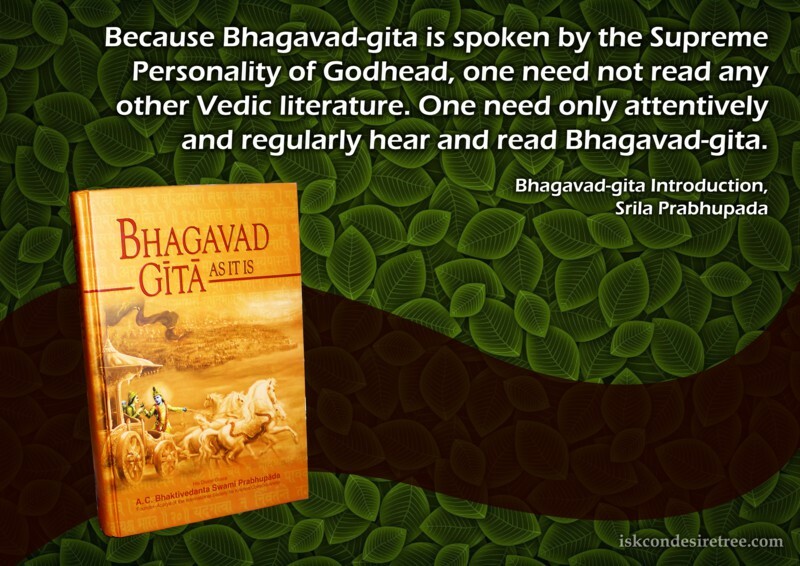 Prabhupada says, “Every night before going to sleep, read Krishna book, hear Krishna katha. If you are attached to this hearing, then by reading, reading, regularly, one day when you are going to sleep remembering all these things, may be in a dream, Krishna can come. This is perfection.